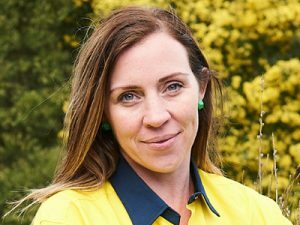 As Director of Marketing & Communications, Sasha’s focus is on managing the Greening Australia brand and telling our stories to an increased and broader audience. Prior to joining Greening Australia, Sasha worked at Sustainability Victoria, a government agency for 8 years, where she led a team focused on strategic communications, media, reputation management, board secretariat, executive services and ministerial advice. Sasha has worked in all the sectors, including for Alcoa Aluminium and the Prince of Wales International Business Leaders Forum in the UK, and has experience in strategic marketing and communications, stakeholder engagement and issues management, governance and board secretariat, corporate affairs, corporate social responsibility and cross-sector partnerships. Sasha is a 2016 graduate of the Williamson Community Leadership Program and accredited member of the Partnership Brokers Accreditation Scheme.